The Big Data-Driven Business: How to Use Big Data to Win Customers, Beat Competitors, and Boost Profits makes the case that big data is for real, and more than just big hype. 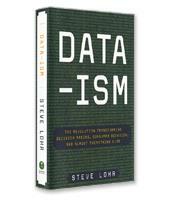 The book uses real-life examples—from Nate Silver to Copernicus, and Apple to Blackberry—to demonstrate how the winners of the future will use big data to seek the truth. When used car dealer Les Kelley launched the Kelley Blue Book, his target customers were used car dealers (and insurance companies and banks that made car loans). Dealers could consult the book and, based on the information it contained, have an idea of what price tag to put on their merchandise. Today, the target customers for the Kelley Blue Book, now free online, are used car buyers who consult it to have an idea of what they should pay for the used car they are buying. The customer flip for Kelley’s Blue Book exemplifies the switch in power in the purchasing process from seller to buyer. Buyers are no longer dependent on sellers to give them the information they need to make a purchasing decision. So in this new purchasing paradigm, are sellers completely powerless? The answer is no, and the reason, in large part, is what is commonly known as “big data.” As explained in The Big Data-Driven Business by LinkedIn marketing executives Russell Glass and Sean Callahan, in today’s world, buyers don’t have to go to sellers in order to find the information they need to make the right decisions. Instead, they can use a variety of digital search channels to gather any information they need and then approach the sellers. The marketing stack includes marketing automation software, business intelligence databases, CRM systems, content management systems (which allow marketers to take over updating digital marketing content with minimal IT involvement), blogging and data management platforms, analytics tools, social media management platforms, search engine platforms, and other systems and software that, in essence, enable marketers to manage the accumulation and analysis of big data. It may seem, from the litany of technological systems just cited, that establishing a big data-driven company is complex and expensive. It can indeed be complex. The chief marketing officer and the chief information officer must work closely together if a company is going to have any success at using big data. Some companies have started hiring “chief marketing technologists” solely responsible for the technology side of marketing. The bottom line is that all marketing professionals today must be at least knowledgeable about the technological components of the marketing function. Using big data does not have to be expensive, however. 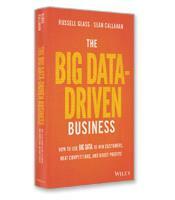 In one of the most insightful chapters, Glass and Callahan offer 11 principles for successfully making a business more data-driven. Among the principles are, determine what you want to know about your customers and prospects; start small; don’t bet everything on technology (figure out first what you need, not what technology you want to use); and hire the right people — forget the art schools, and think about Star Trek conventions instead. Glass, who heads B2B marketing at LinkedIn, and Callahan, LinkedIn’s senior manager for content marketing, present a guide for marketers in companies of all sizes.